The CD Messiah for 4 is here! Odd Size is an ensemble with roots in the Gothenburg based opera company “Utomjordiska” (“From Outer Space”). 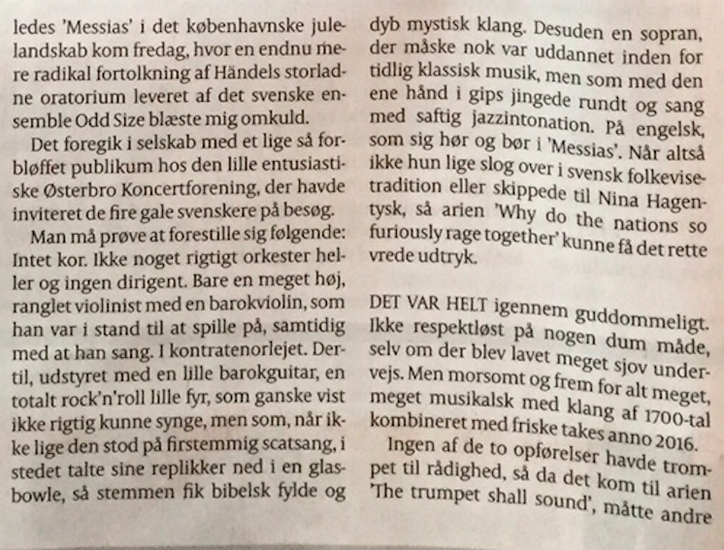 It consists of four professional baroque musicians frequently playing in leading ensembles in Scandinavia, such as Barokksolistene (N), Concerto Copenhagen (DK), Göteborg Baroque (S). 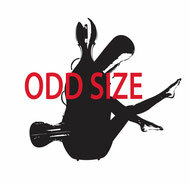 Odd Size’s vision is to create performances aiming to push the limits beyond controlled "perfection" into sweaty gut strings, grooviness, playfulness and humour. We want to revive a perspective of classical music that is creative and full of improvisation and that stretches the boundaries of the particular musical style without breaking it. Some of our inspiration comes from jazz and folk music but we are still very proud of calling ourselves baroque musicians.